We welcome you. 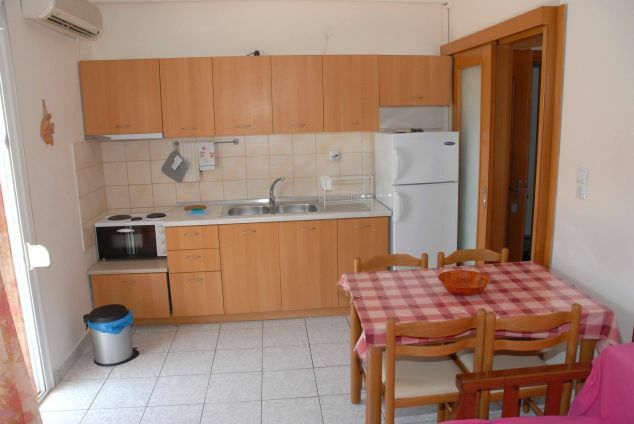 The family-run Anestis Apartments is located in Palio-Tsifliki, a suburb of Kavala. We offer differently sized and air-conditioned self-catering apartments. The beautiful beach is just 2 minutes walk. Here you can enjoy recreation, tranquility, nature and the clean, fine sandy beach just 150 meters away. In the apartment complex we offer chiropractic massages from the specialist. The beach taverns pamper you with free beach chairs for the ordered drink. The beach, taverns, mini markets, bakery and pharmacy are all within walking distance of the property. Kavala Town and the harbor are 8 km away, while Kavala Airport is approximately 43 km away. The region offers many attractions. The air-conditioned apartments each have a separate bedroom, a simply equipped kitchen (usable as a dining / living area with a sofa bed) with a kitchenette, mini oven with cooking hobs, fridge and flat-screen satellite TV, bed linen and towels. The small bathroom has a toilet and bath or shower. Also there is a generous shower area outside. All balconies are extensively equipped with sun protection and the balcony doors with mosquito nets. The apartment complex exists since 1981 and is constantly being renovated. 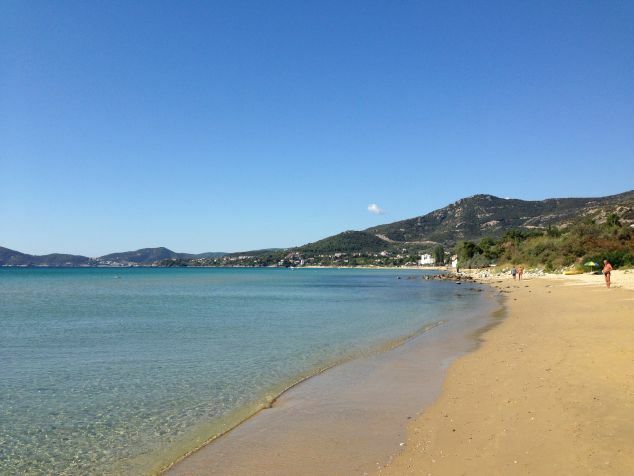 The location is perfect because of its proximity to the sea - on one of the most beautiful beaches in the region. The complex is located in the countryside in a very quiet environment and offers views of the mountains and the garden. It has a greek garden with a stone-paved terrace and spacious BBQ facilities. Free parking is available right next to the apartments in the quiet residential street. The apartments of Anestis Apartments are located only 150 meters from the sea on one of the most beautiful sandy beaches in the region. The resort enjoys great popularity with regulars and locals. Palio is not overcrowded touristy. Pure relaxation. Regular guests have been coming there for almost 40 years. 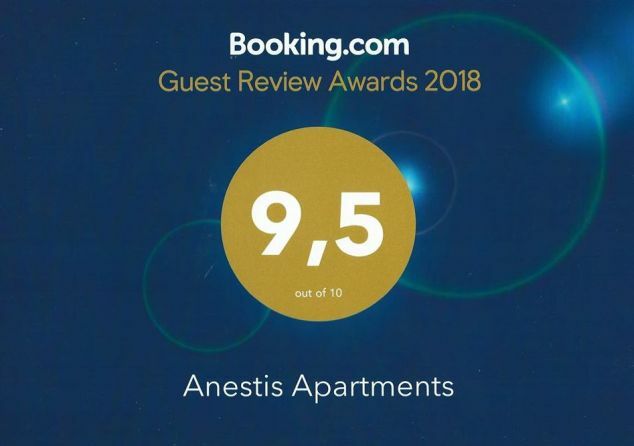 Anestis Apartments is known as an insider tip in Internet reviews and impresses with its Greek originality. 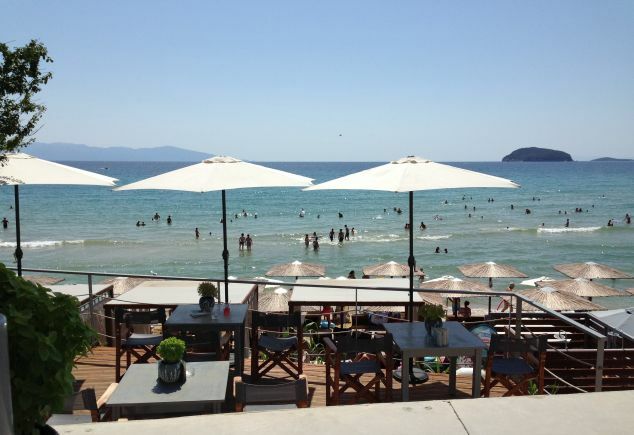 Couples especially appreciate the quiet location and the nearby beautiful well-kept sandy beach with its taverns and cafes. Other taverns, mini markets, bakery and pharmacy are within walking distance of the property. Kavala Town and the harbor are 8 km away, while Kavala Airport is approximately 43 km away.